Mortgage rates are influenced by many factors including the economy, the stock and bond markets, as well your financial state. While you may not have control over the economy or market, you are in complete control over your finances. Read below to learn more about what affects mortgage rates and what you can do to qualify for a low-interest home loan. Are you a first time home buyer? Is this a investment property? The answer to both of these questions will impact your mortgage rate. If you do not plan to live in the home then the lender will automatically consider it an investment property. The rates for this type of loan product can be 1% or more above a loan for an owner-occupied property. The higher rate stems from the amount of risk associated with the loan. For investment properties, the mortgage rate will be higher because they're considered higher risk for the lender. Another thing to consider is your level of debt. If your credit report reflects missed payments on your debts, it is possible you owe more than you can handle. Your debt level compared to your income is an important ratio that a mortgage lender uses for qualifying an application. If this debt-to-Income (DTI) ratio is higher than normal, it could signify that you are a riskier borrower which would result in a higher mortgage rate. This riskier DTI might also mean a loan-to-value ratio that is lower. The loan-to-value is a comparison of the loan amount versus the lower of the purchase price or the appraised value of the home, whichever is lower. A significant down payment would make the loan-to-value ratio lower and might convince the lender that this loan is a good risk. Be sure to ask your mortgage professional plenty of questions, especially if you carry a great deal of debt. Some lenders may suggest you use your money to pay off some of your debt in order to improve your debt-to-income ratio, rather than make a large down payment on the home. By working hard and getting good information from a qualified mortgage broker it is still possible to find a flexible lender who is willing to work with your situation. If your financial picture includes lower credit scores, say under 660-680, or a weak payment history, your options might be limited to a FHA mortgage loan product. The FHA program provides federally insured home loans. The good news is some lenders are now lowering their credit score requirements from the magical 640 to 620. 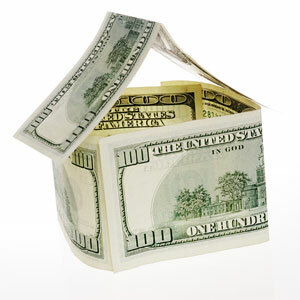 FHA loans have garnered a similiar appeal to the subprime loans of the past. They offer low rates but can come with some hefty mortgage insurance requirements, especially since the housing market crash of 2008. Speak with a qualified professional to weigh out your options thoroughly.